Los Gatos High School Advanced Art artwork on exhibit includes a small selection of oil paintings painted by the advanced art students studying with LGHS Art Department teacher, Mr. Thad Smith. Several of the students are showing their first ever oil paintings, while other students have studied this medium for the past three years. 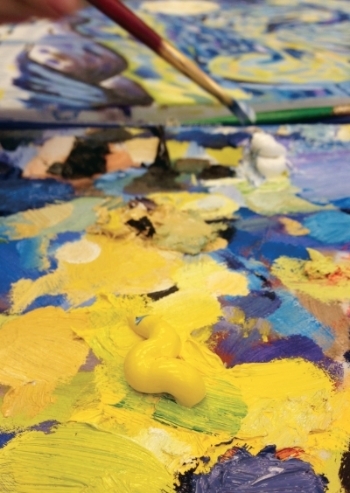 This exhibition is an exciting opportunity for the students to share their art with members of the general public, as well as to see their art showcased outside of the classroom. Unmasking the Stage Wednesday night, and to those who volunteered their time for making it such a success! We had an incredible turn out and we appreciate your support! High School parents and students, the Annual Santa Clara County High School Juried Exhibition is back and submissions are due in just over two weeks! 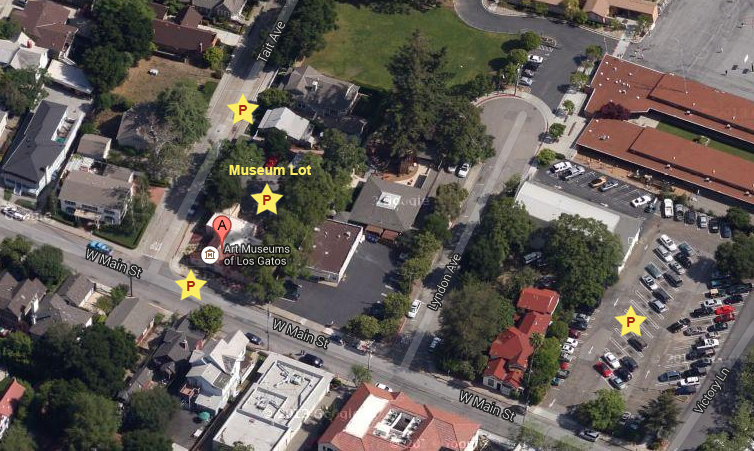 In this county-wide competition, The Museums of Los Gatos are asking young artists to contemplate the idea that art is a conversation and to visually communicate their answers. The submission deadline is February 14, so do not delay as late entries will not be accepted. Support our young local artists by liking it here! yet sensuous bronze and cast stone sculptures. 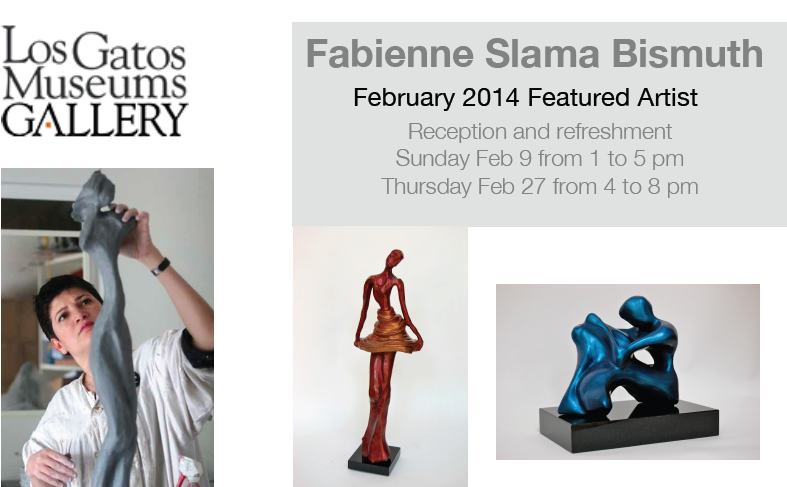 A biochemist by training, an artist by heart, influenced by great Bay Area instructors, Fabienne’s love for the human body evolved from a molecular level to an emotional one when she decided to pursue her passion as a sculptor full-time in 2001. More recently her work has evolved to represent the powerful and fierce women. Those who could be seen in fashion magazines as well as in daily life: entrepreneurs, businesswomen, mothers and spouses who need to fit in so many different roles that they sometime forget their own self to become object of desire and admiration. Esthetic, tenderness, attitude, translated in colorful, emotional bronzes sculptures have allowed FaB’s award-winning artwork to be represented in collections worldwide and to be been shown in galleries in California, Arizona and France. 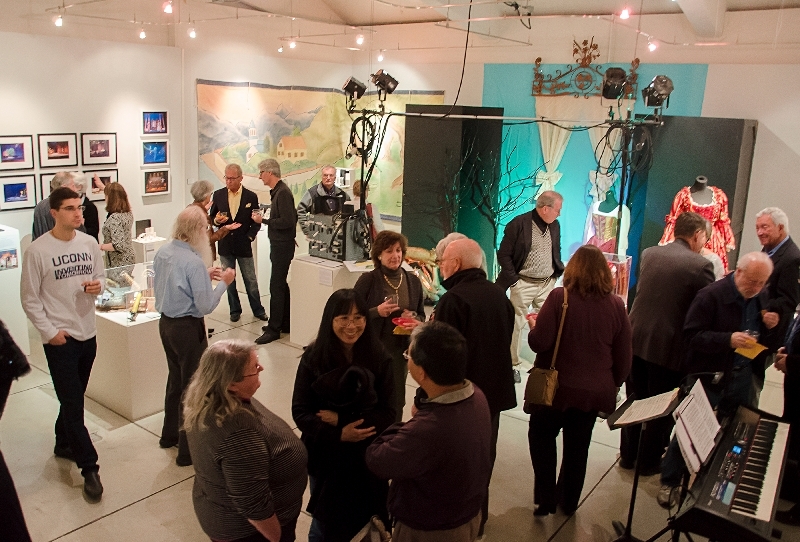 “The Art in Food: Farm, Table, Community” is a juried exhibition in collaboration with the San Jose Museum of Art. 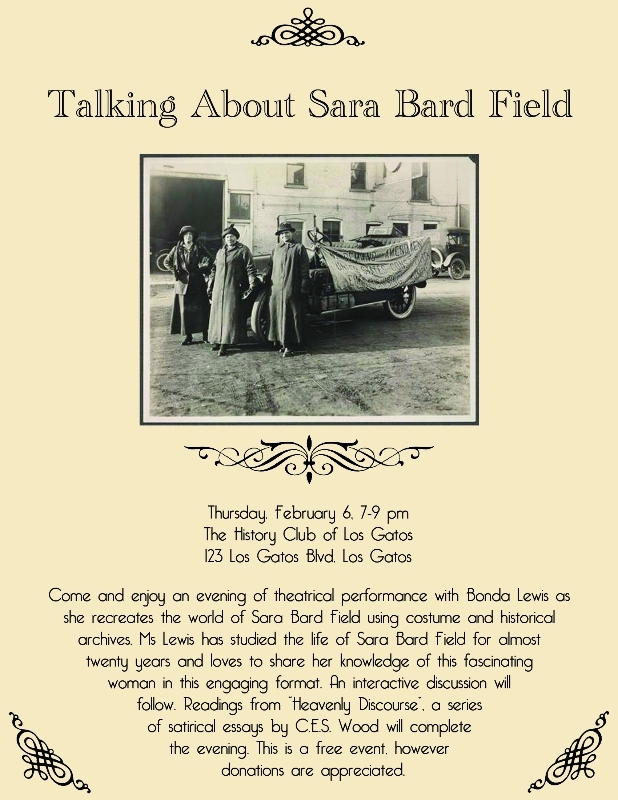 See the San Jose Museum of Art website for more details. Visitors are welcome to park in the museum lot off Tait Avenue, or there is 2 hour street parking alongside the museum on Tait and Main before 6 pm (Notice: After 6 pm, you must have a permit for street parking). 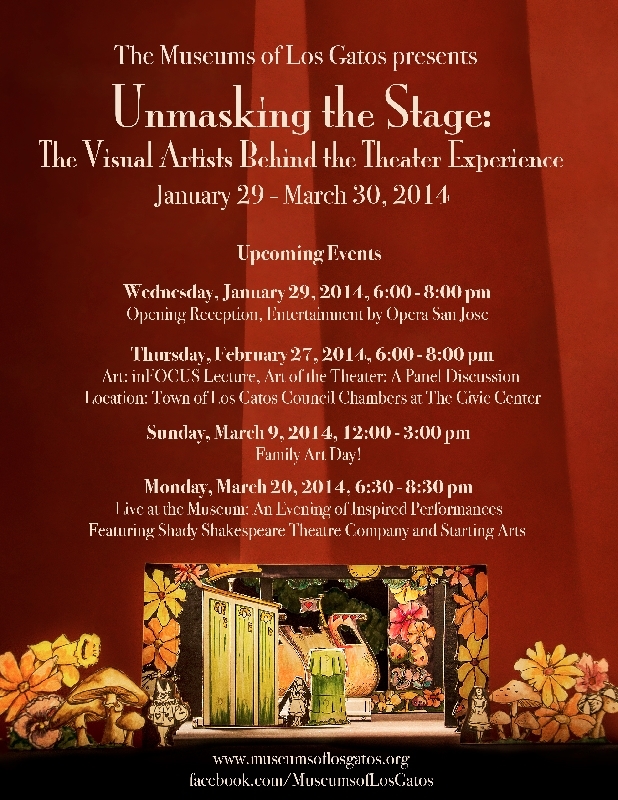 Unmasking the Stage: The Visual Artists Behind the Theater Experience, now on exhibit at the Art Museum of Los Gatos. 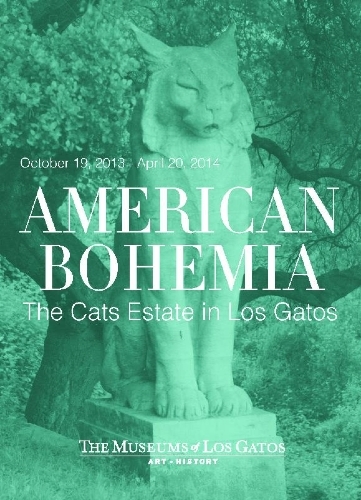 American Bohemia: The Cats Estate in Los Gatos, now on exhibit at the History Museum of Los Gatos. 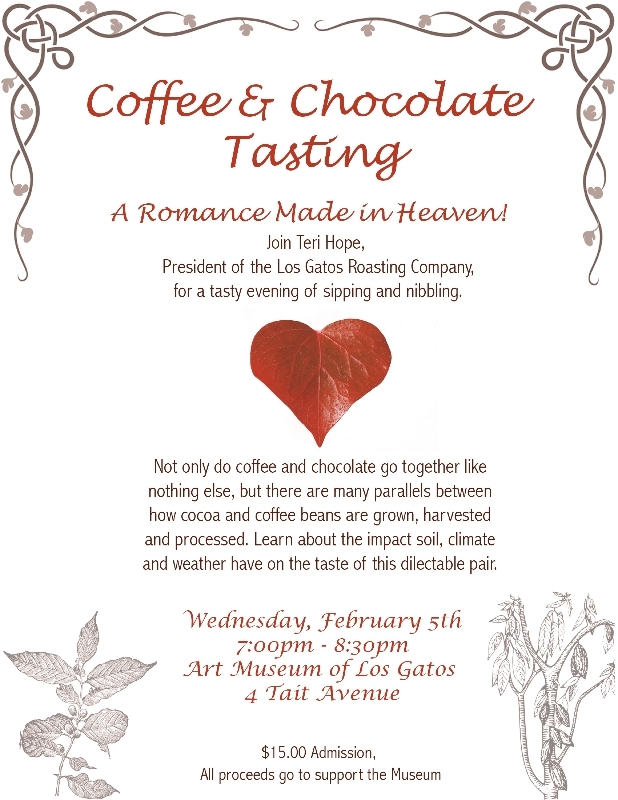 Copyright © 2014 Los Gatos Museum Association, All rights reserved.